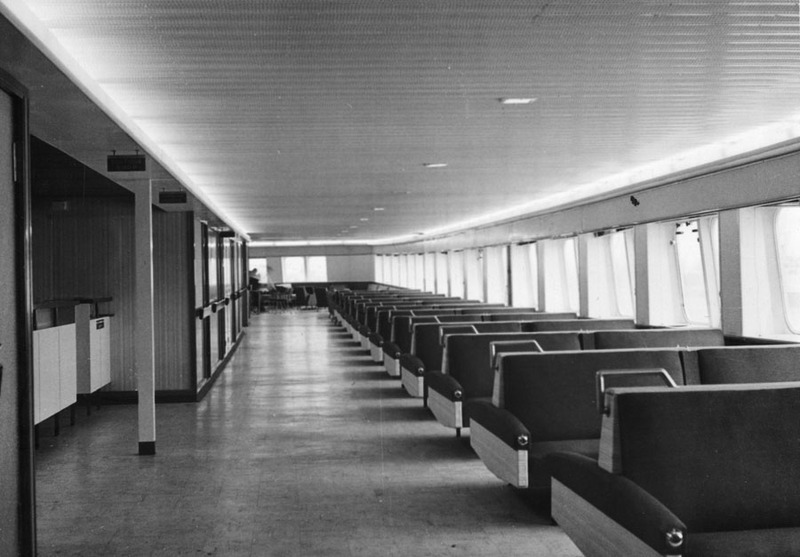 June 10th 1957: Keel was struck. July 3rd 1958: Ran her first trials. 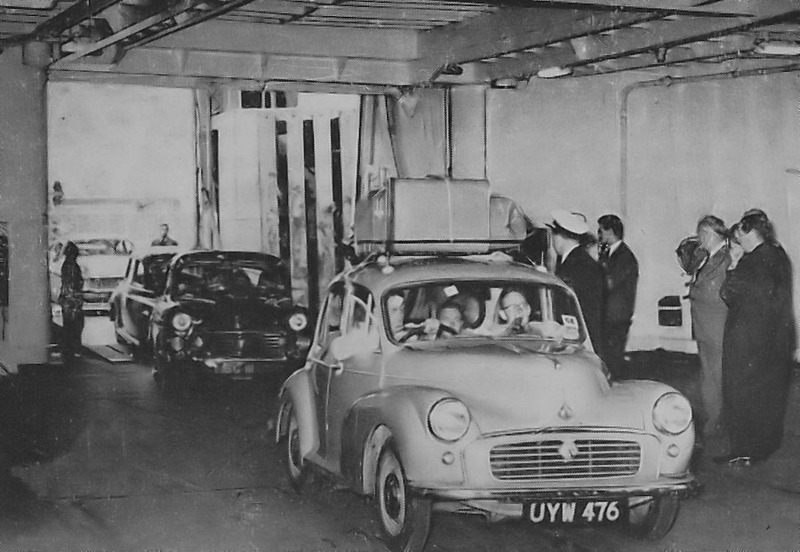 July 7th 1958: First arrival at Calais. 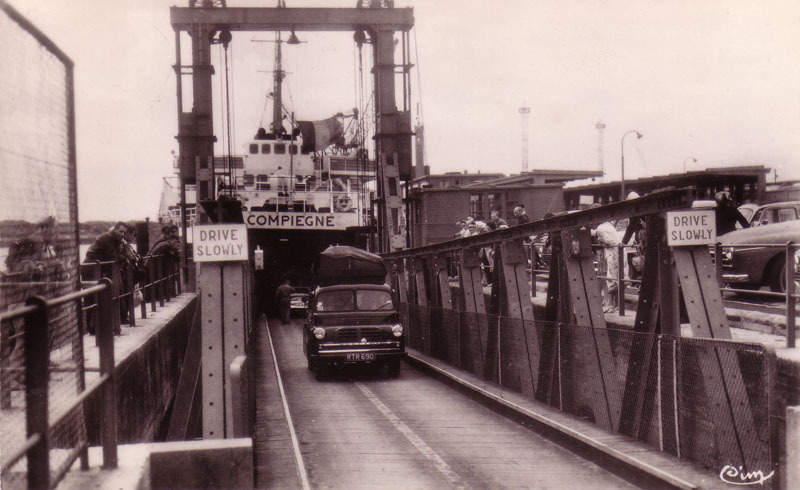 July 7th 1958: Delivered to Société Anonym de Gérance et d’Armement (SAGA), Calais, France. 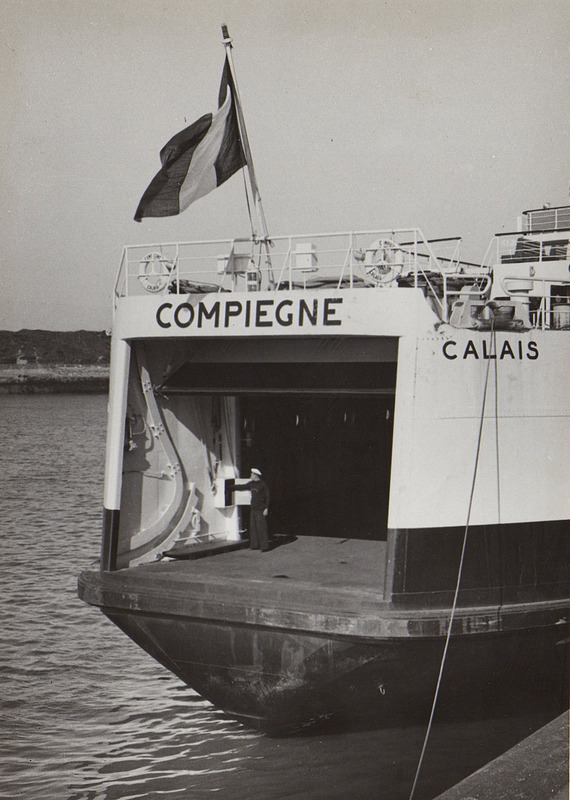 “The COMPIEGNE boasted a second unusual feature in that she was fitted with a stern bridge for use in navigating astern in Calais and Dover. 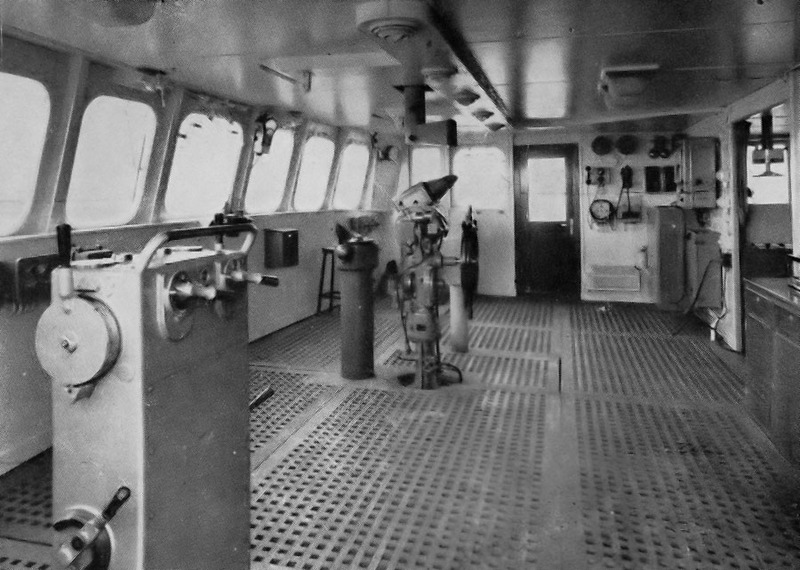 From this vantage point, the Captain would be able to see the ships stern and link-span towards which he was directing his vessel. 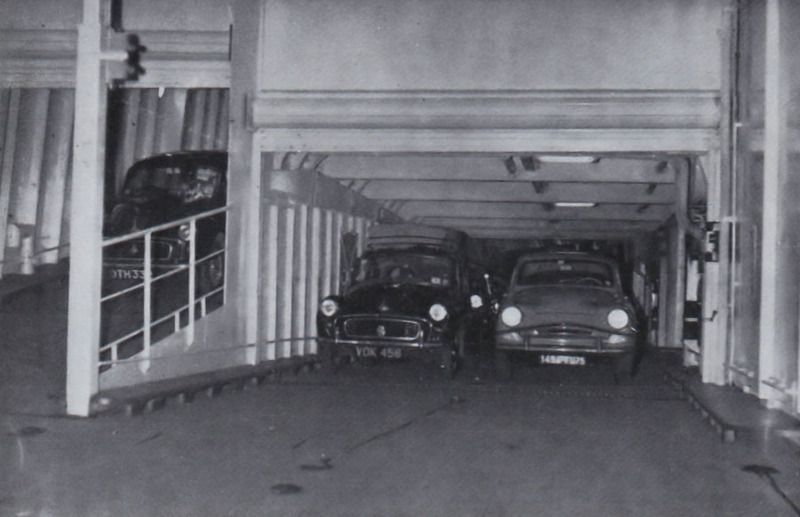 “Full Ahead” could be ordered at the appropriate time in order to stop the ship, moor her and to lower the link-span onto the vehicle deck for disembarkation……..
July 22nd 1958: Made a short trip around the Goodwin Sands for guests and harbour officials of the two ports then commenced service between Calais – Dover. 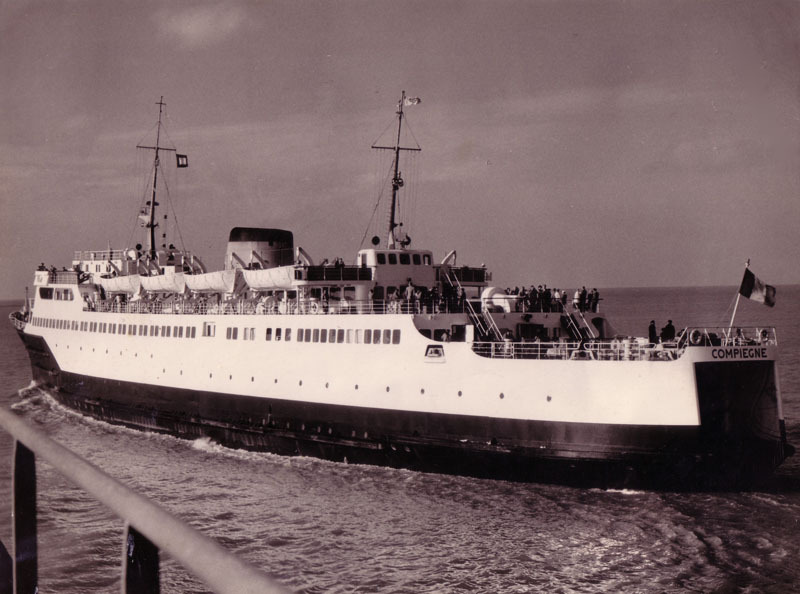 October 12th 1958 – January 1959: Operated between Boulogne – Dover. 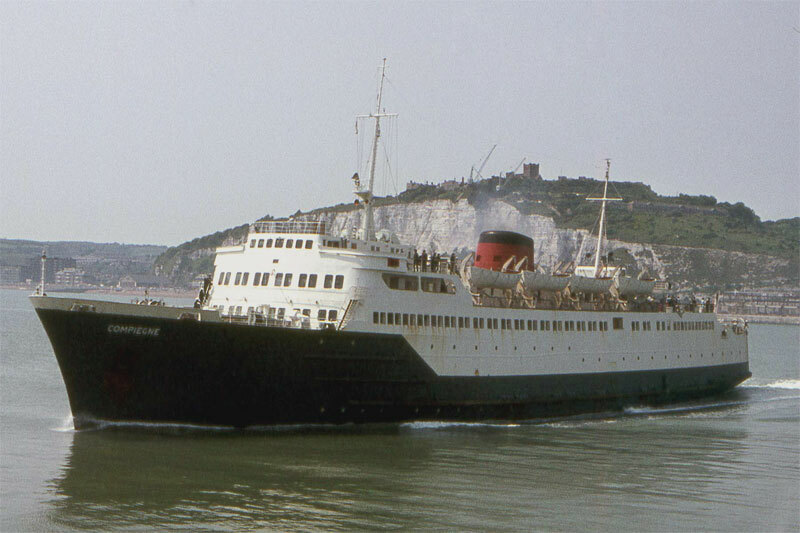 February 1965: Her black hull was painted blue with a red funnel. 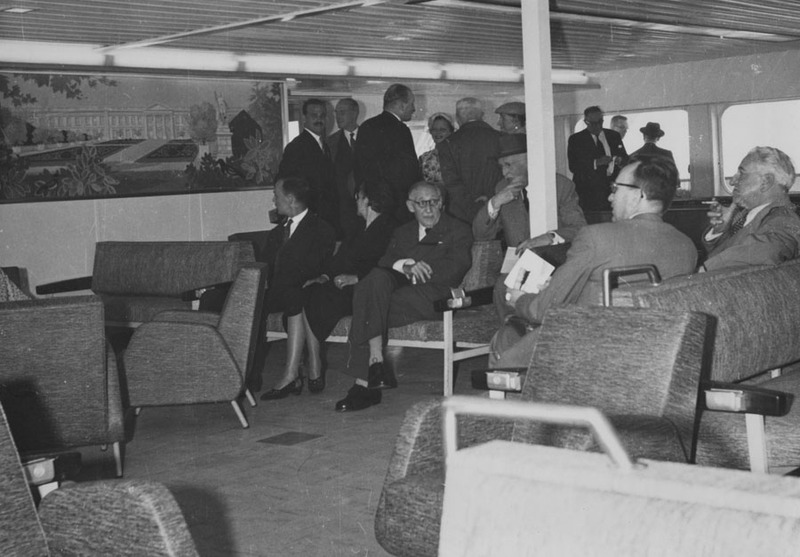 November 1969: It was announced that British Rail’s Shipping and International Services Division (S.I.S.D.) 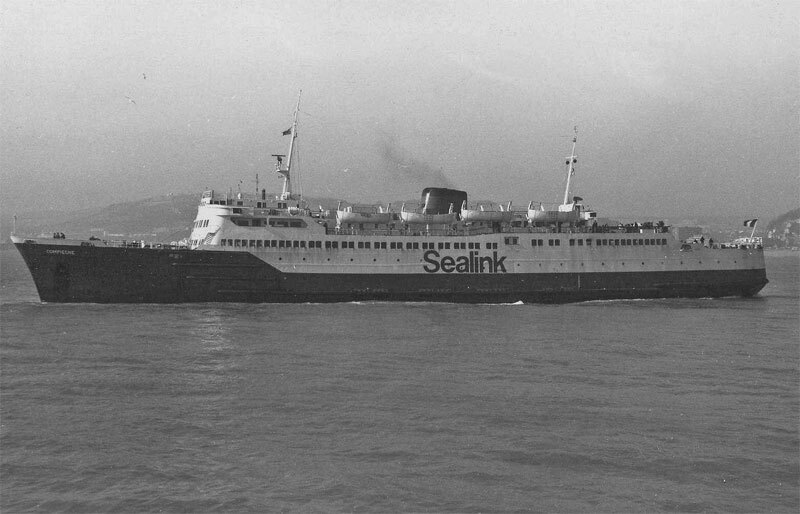 had adopted the new brand name Sealink and as a consequence all vessels would, in the future, be painted in the new house colours. 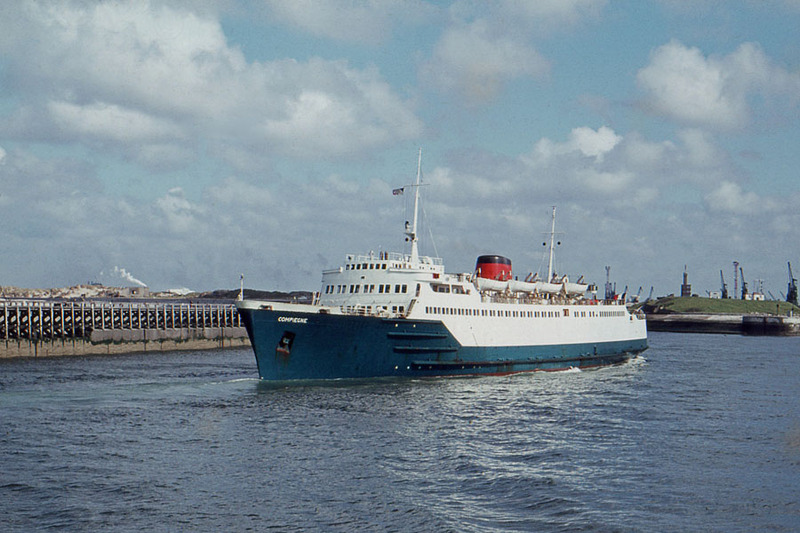 Her funnel was painted red and her hull blue. 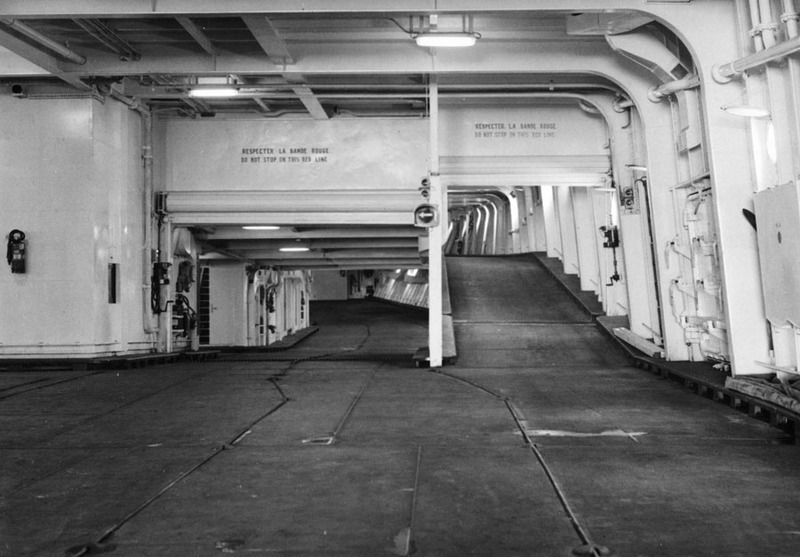 October 2nd, 1969 – January 1970: Owing to the increase in commercial traffic it was found that the ship could not accommodate vehicle trailers and, as a direct result, she had her car deck raised by 50cm and widening of her stern door at Chantiers de Normandie, Le Havre, France. 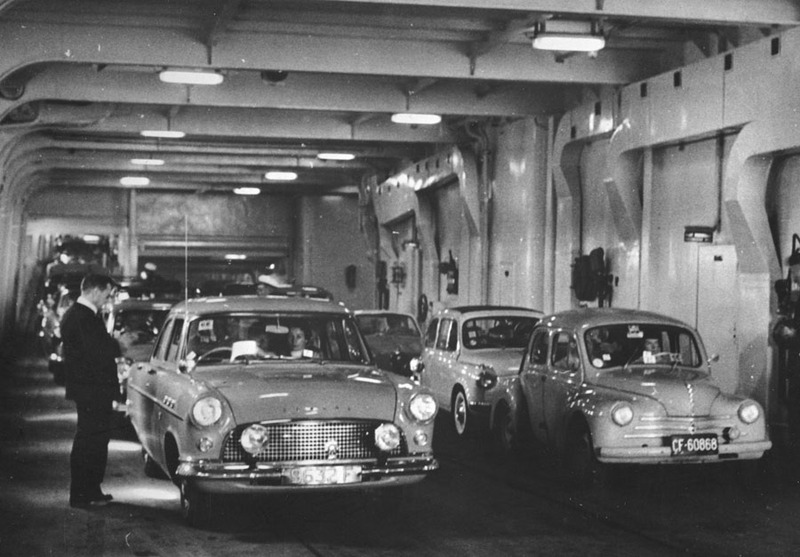 September 1st 1970: Made her 10,000th crossing. 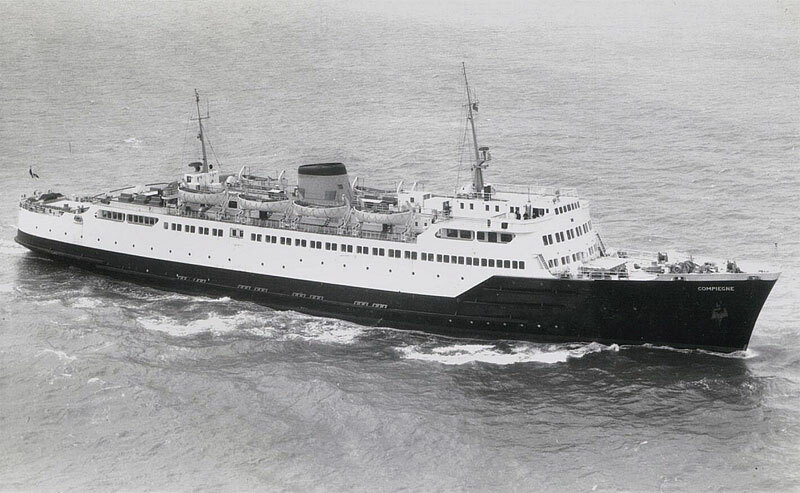 February 2nd 1972 – February 4th 1972: Operated between Newhaven – Dieppe. 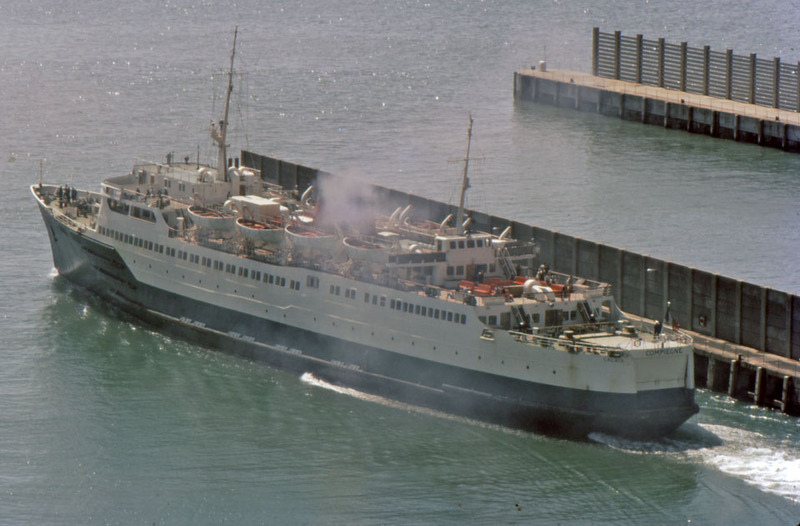 January 1978: HORSA became entangled with the offshore wires after she had dropped anchor while attempting to berth at the Admiralty Pier at Dover. At low water, and with a heavy swell running the ship was unable to move and battered her bow against piles and dolphins at the ramp. 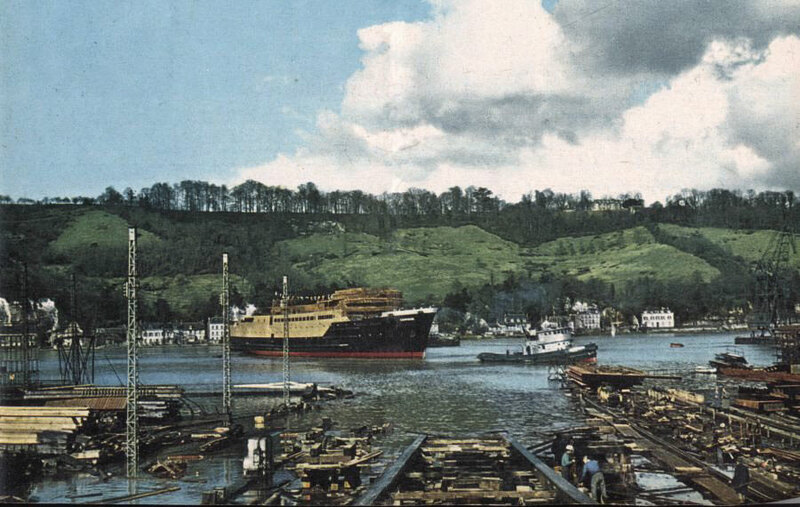 She was eventually towed off and sent to Calais for repairs, the berth being out of use for over a month. The HENGIST was slipped into her sister’s roster. 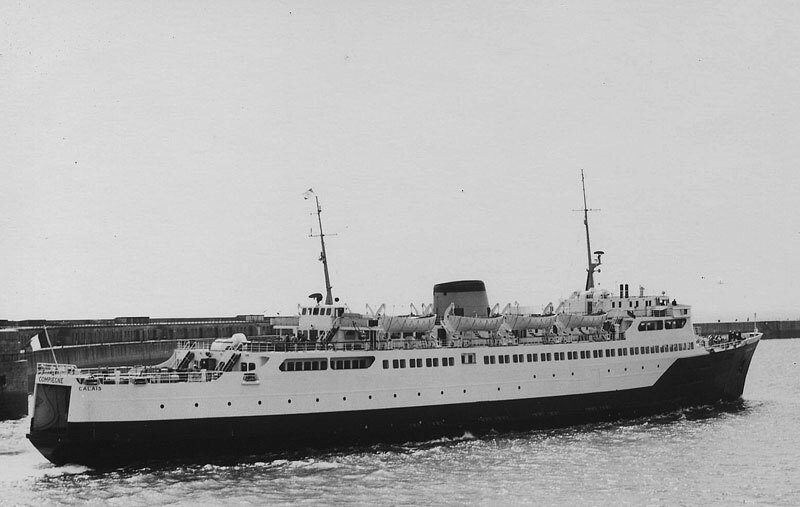 The SNCF ship COMPIEGNE filled in for her while the NORMANNIA was hastily recalled from Newhaven until the HORSA returned on January 20th. 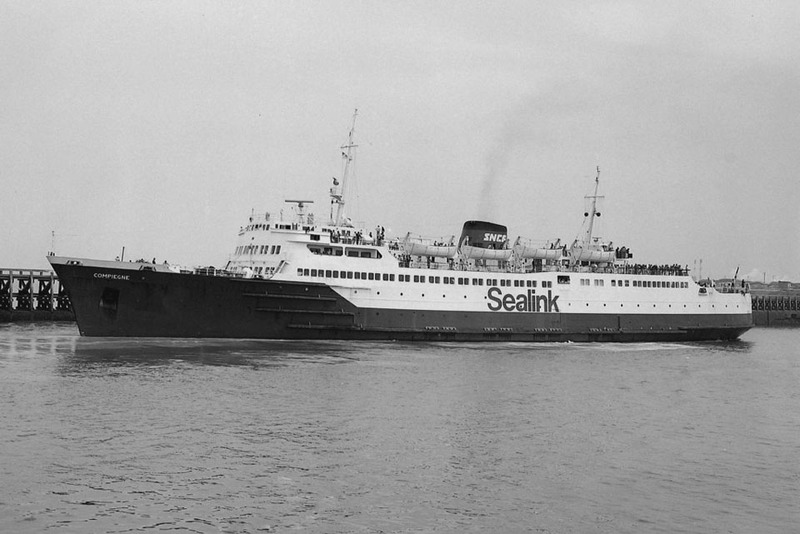 May 1980: She was off service with engine trouble for the first half of the month. 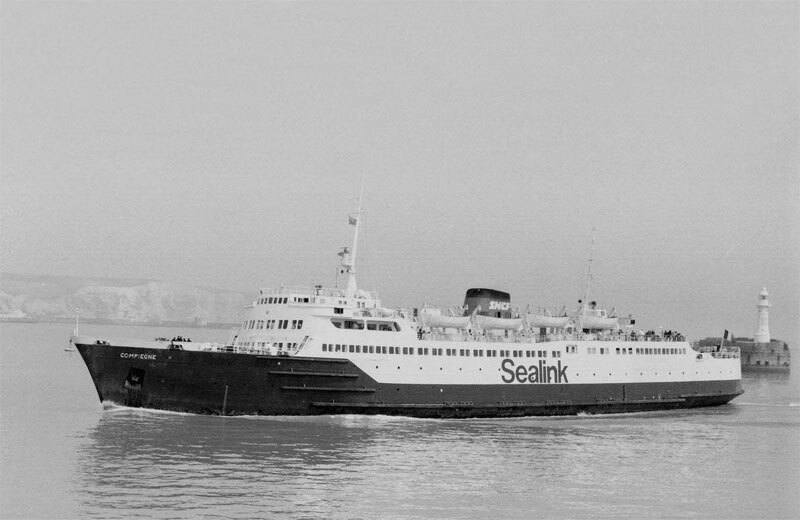 September 27th 1980: Last sailing from Dover (Eastern Docks) to Boulogne, after which she sailed directly to Calais for lay-up. September 30th 1980: Required to stand-in until the HORSA returned on October 7th. 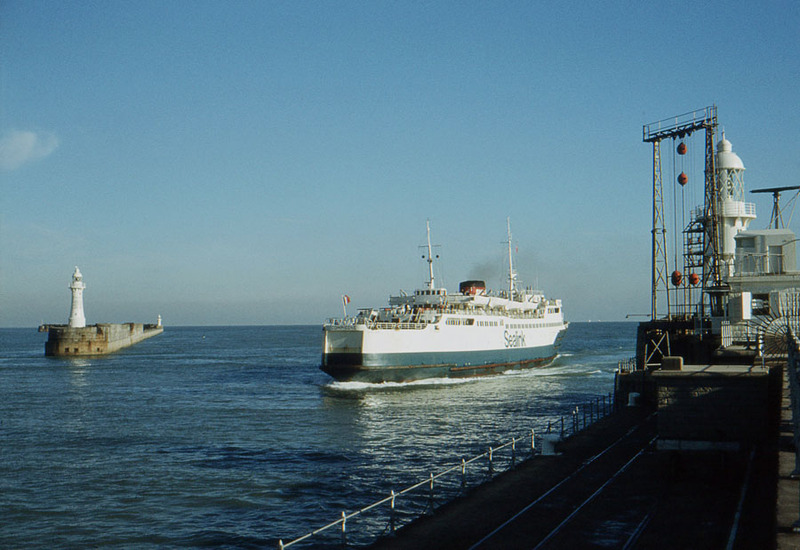 October 7th 1980: Final service between Calais – Dover. 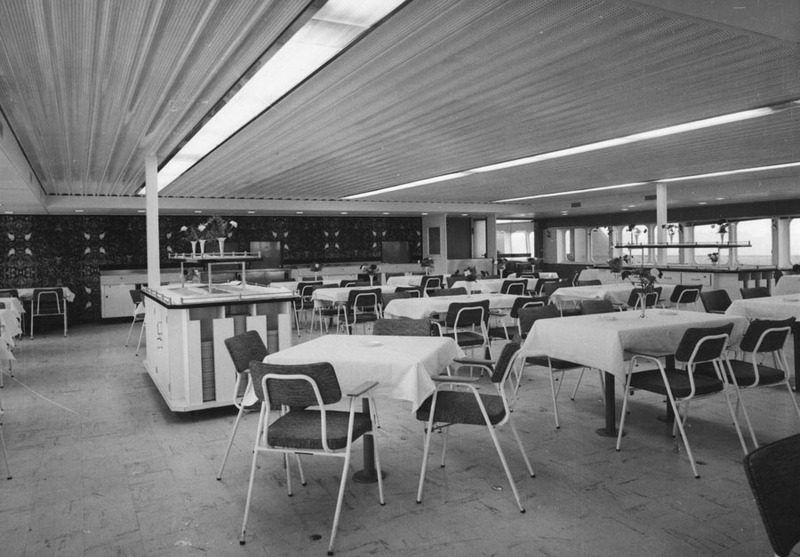 Thereafter laid up in Calais. 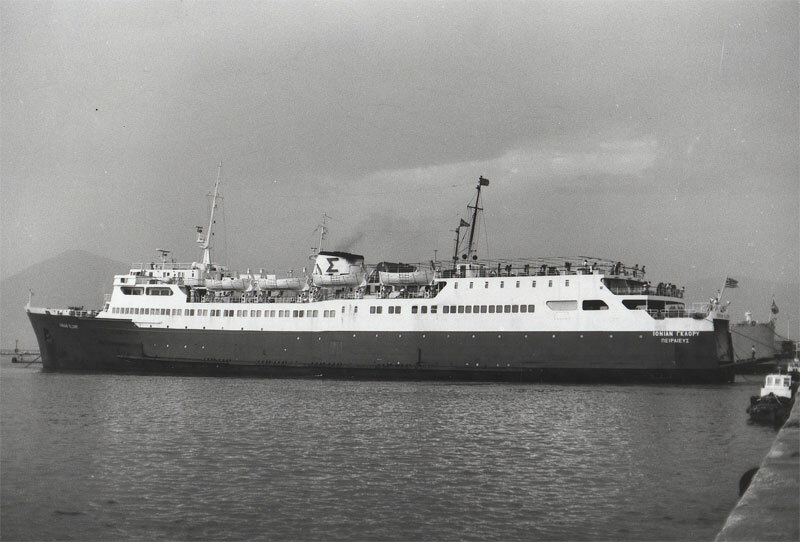 February 1981: One final fling, covered for the CHARTRES and then the CHANTILLY when she went off for her refit. The latter was due back on February 21st ,when the COMPIEGNE was to resume her lay-up awaiting sale. 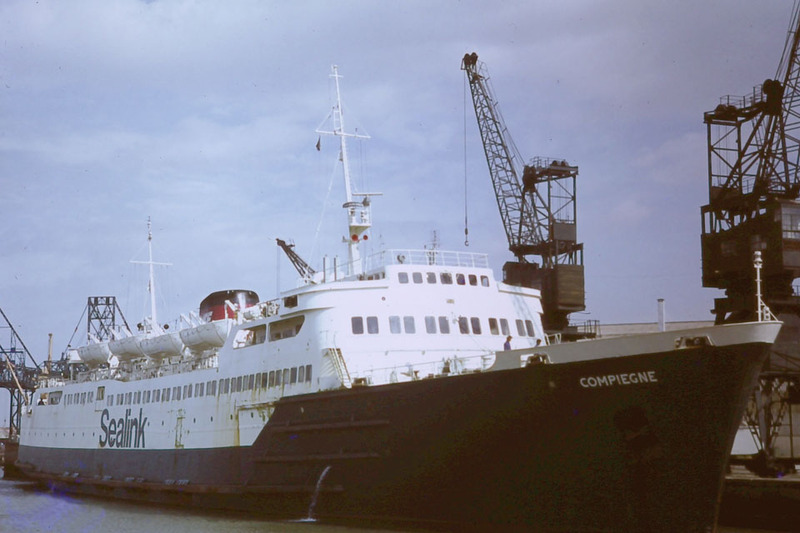 February 1981: Operated between Dieppe – Newhaven for a brief period. 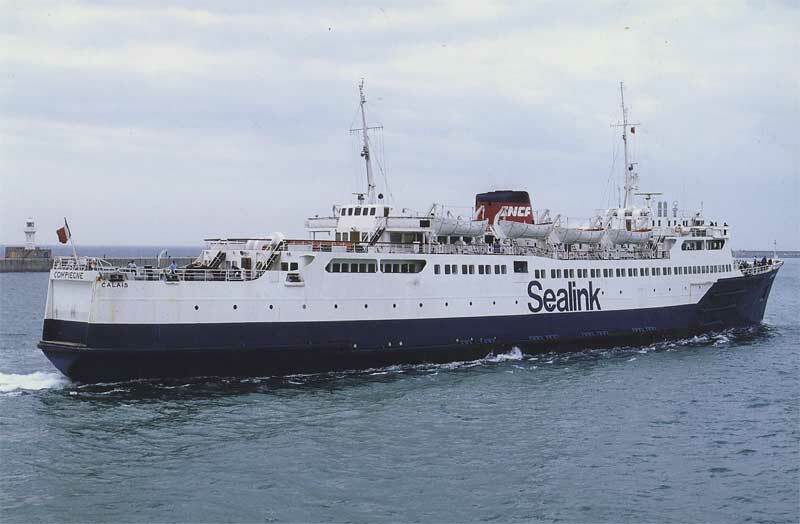 February 26th 1981: Finally finished her service with Dover to Calais then continued her lay-up pending sale. 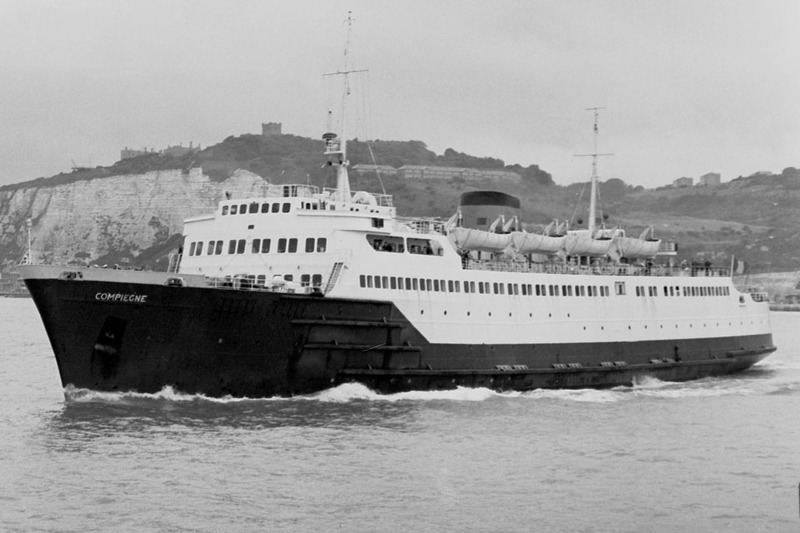 May (end), 1981: The Calais-Dover vessel CHARTRES damaged herself in her home port and retired to the local dry dock. Resulting from this , the CHANTILLY was switched to take her roster and out of retirement yet again came the COMPIEGNE for a 10-day spell. 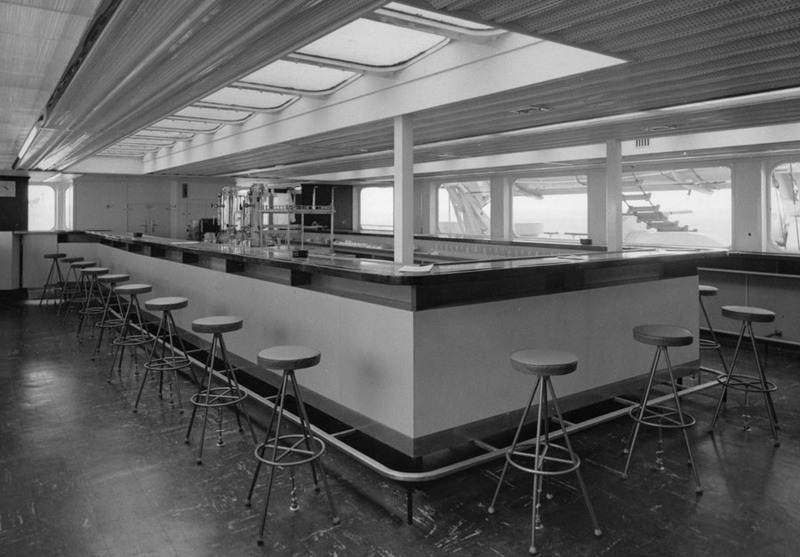 Expected that the vessel will be retained as a stand-by until September (1981). June 12th 1981: SAINT GERMAIN went off service with engine troubles and did not return until June 27. 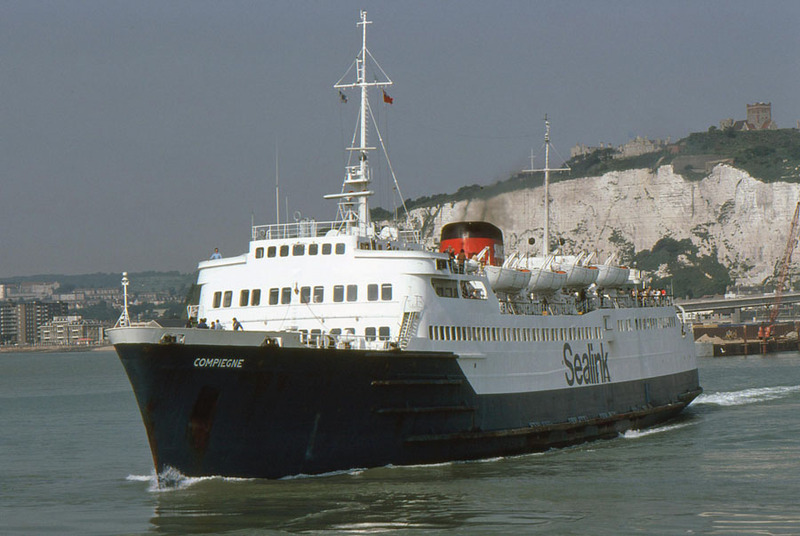 This brought about the transfer of the Dover-Calais vessel CHARTRES as from June 17 while the CHANTILLY came across and stood in for her. 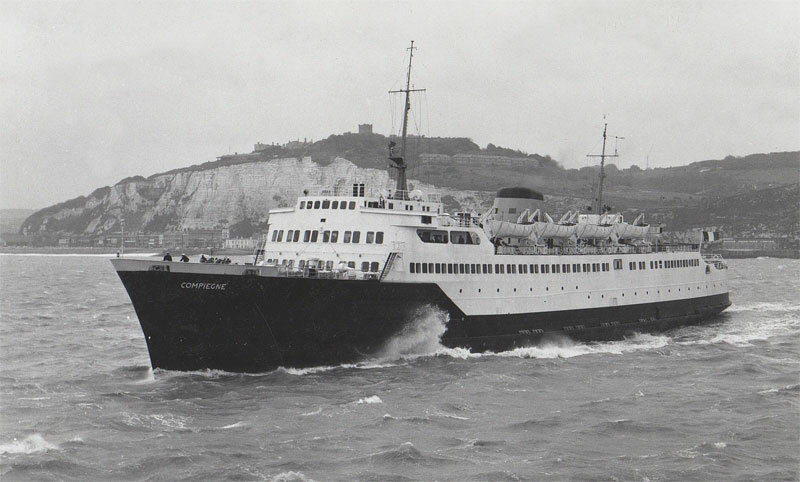 Out of retirement for the third time came the COMPIEGNE which substituted on her Dover and Folkestone schedules. 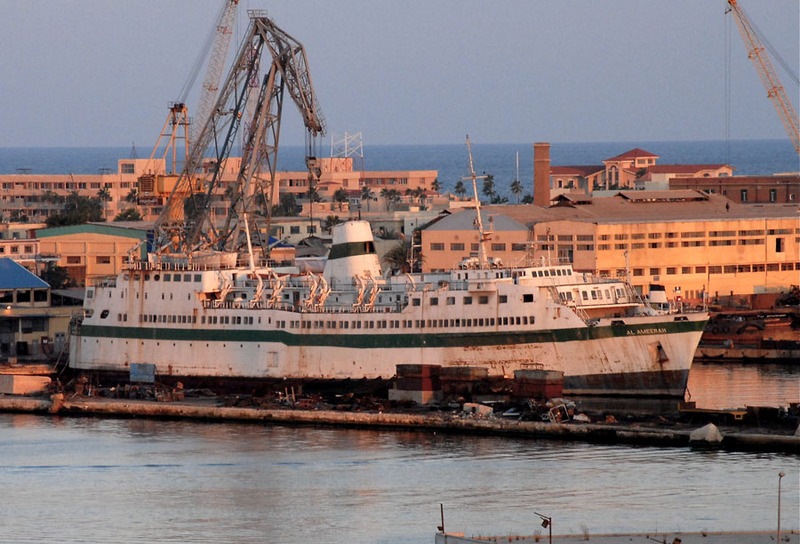 August 1981: Sold to Calypso Shipping, Monrovia, Liberia with delivery to take place on October 20th. 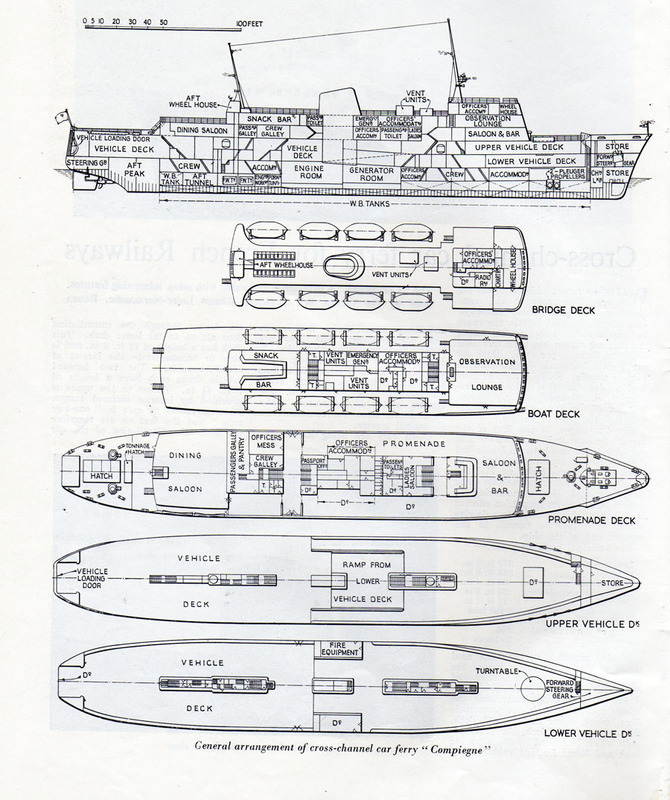 September 27th 1980: Final day in Channel operation. Had made the crossing 22,712 times. 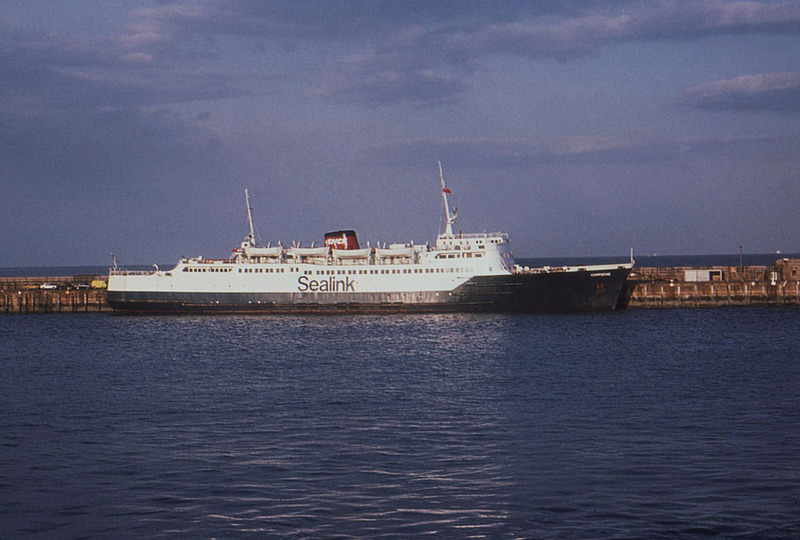 October 20th 1981: Taken over by her new owners. Renamed IONIAN GLORY. 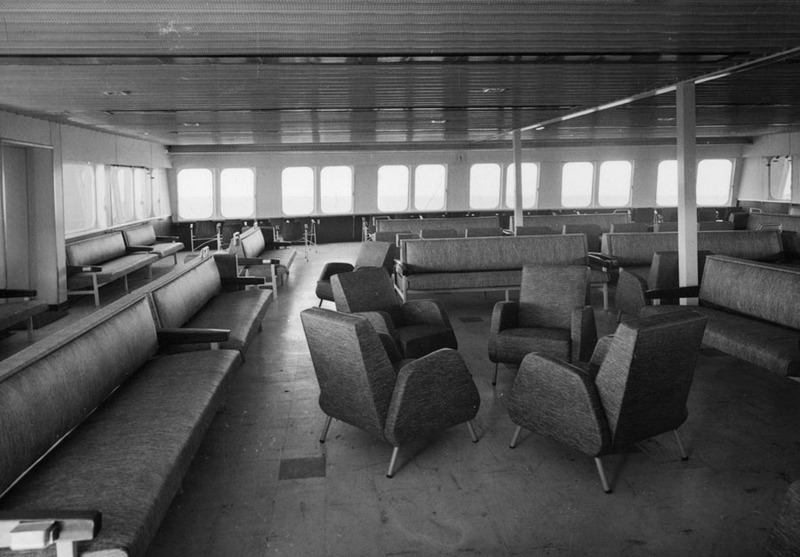 October 24th 1981: Left Calais for Piraeus. 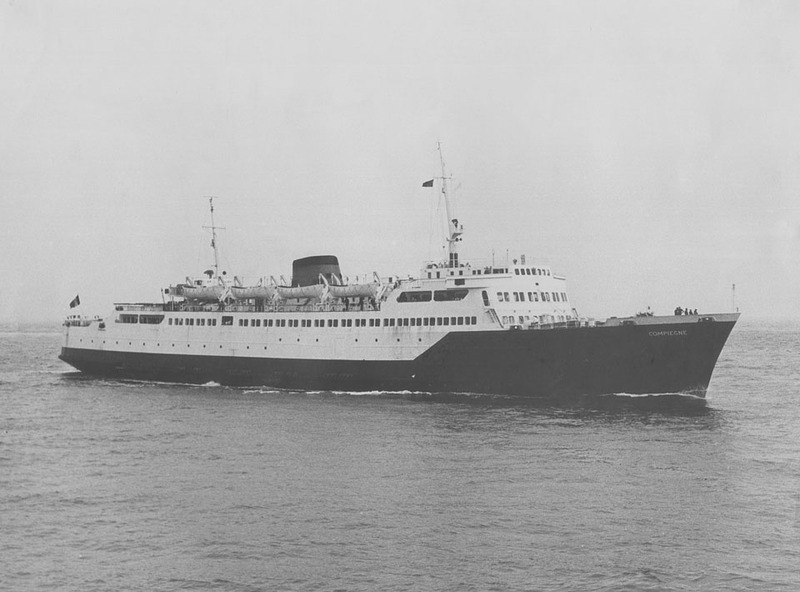 1982: Transferred to the Greek ships register. 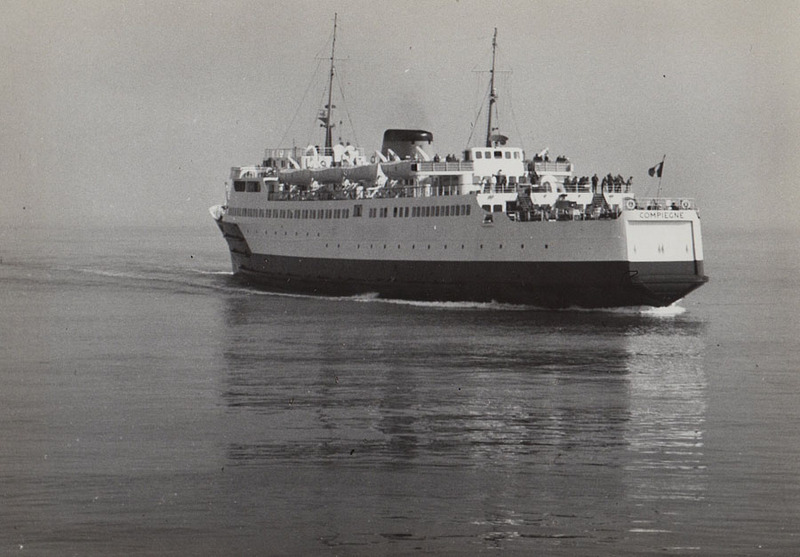 June 11th 1982: Commenced service for Strintzis Lines between Brindisi – Corfu – Igoumenitsa – Patras. 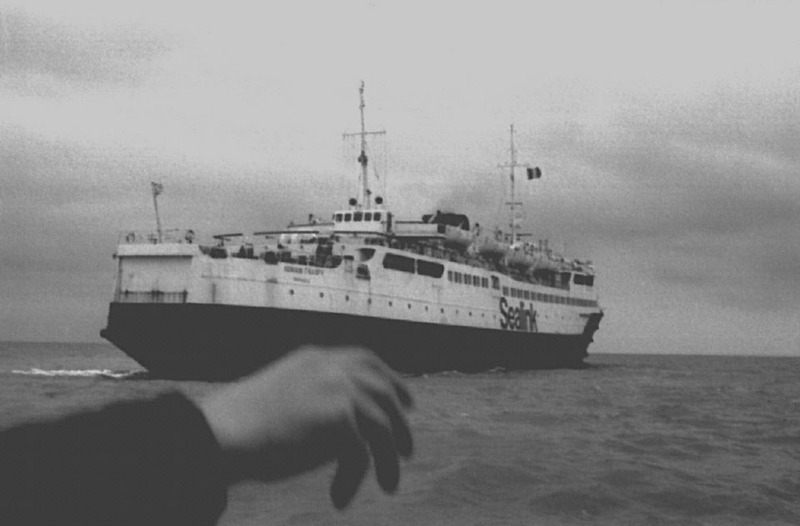 December 1983: Helped to evacuate Palestinians from Beirut. 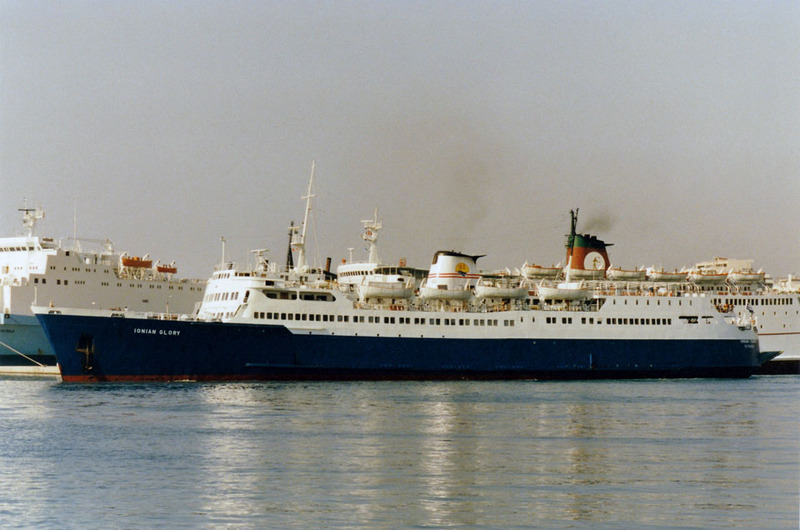 July 1984: Commenced service between Patras – Zakynthos – Simi – Kefalonia – Brindisi. 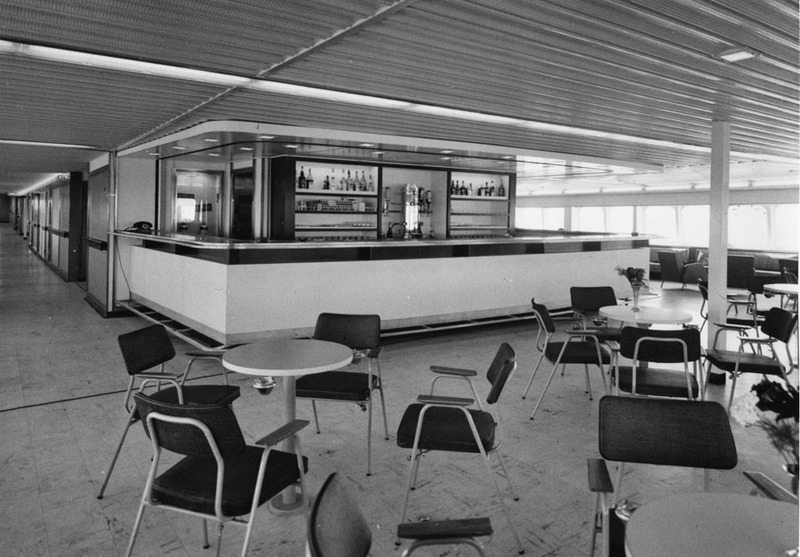 1987: Operated between Ancona – Split. 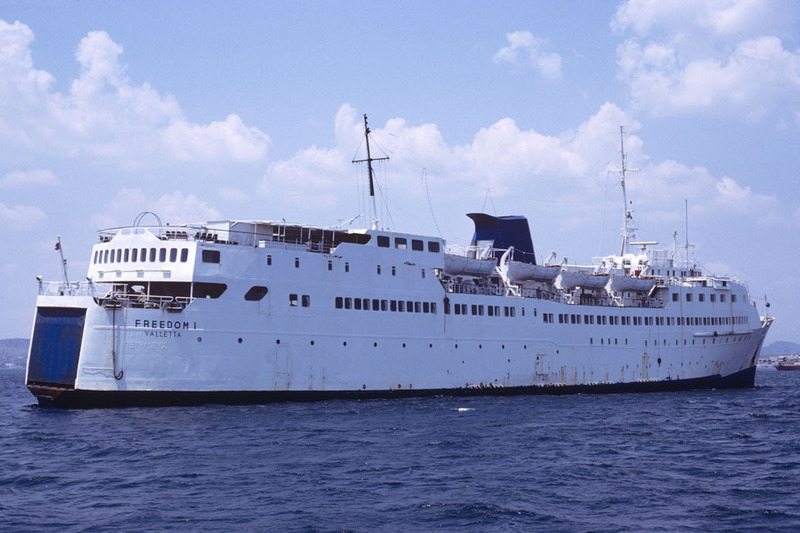 1988: Chartered to Seven Island Lines, operated between Patras – Kefalonia – Paxi – Igoumenitsa – Corfu – Brindisi. 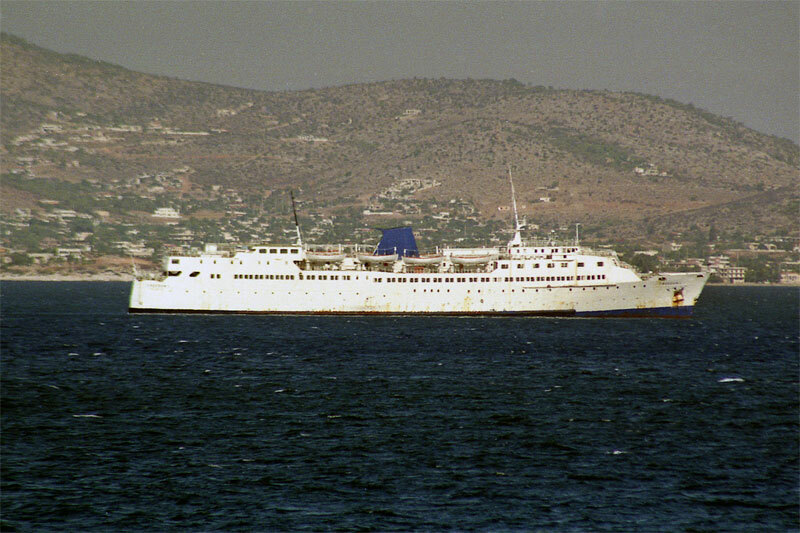 1989: Sold to Vergina Lines, Limassol, Cyprus. 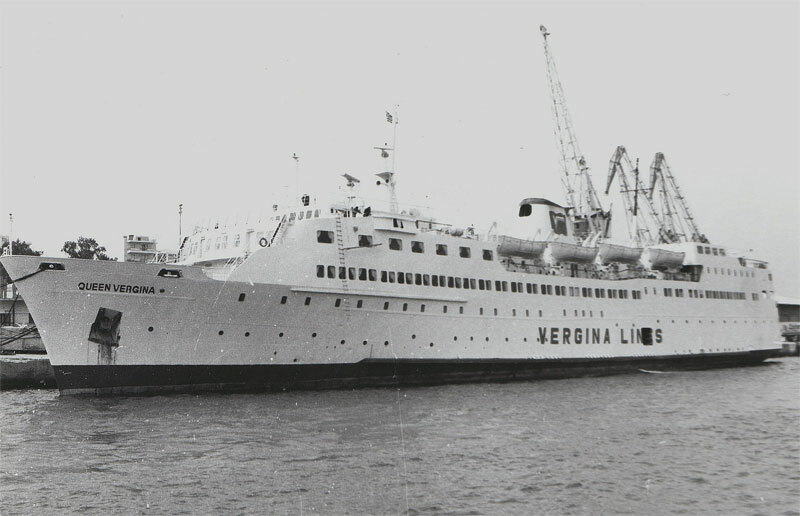 Renamed QUEEN VERGINA. 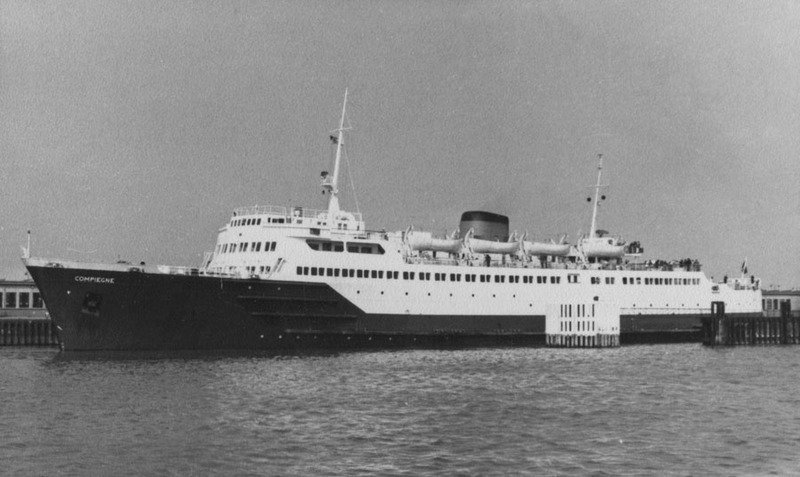 Operated between Piraeus – Haifa. 1990: Sold to Liano Shipping Ltd, Valletta, Malta. 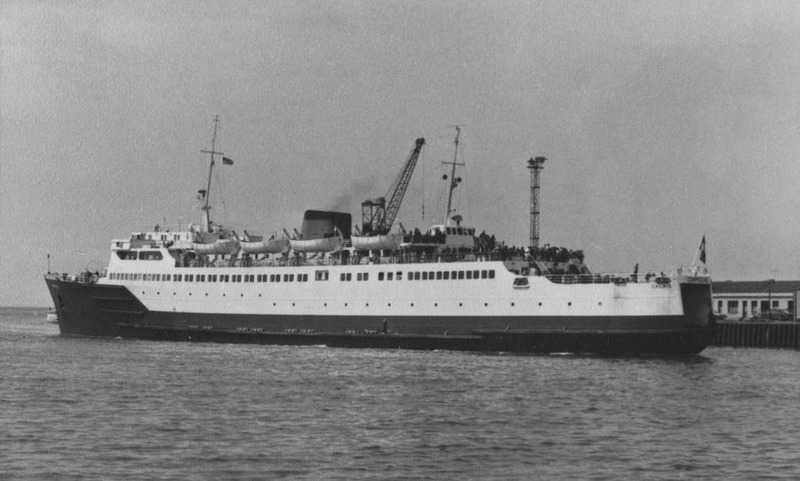 Renamed FREEDOM I. 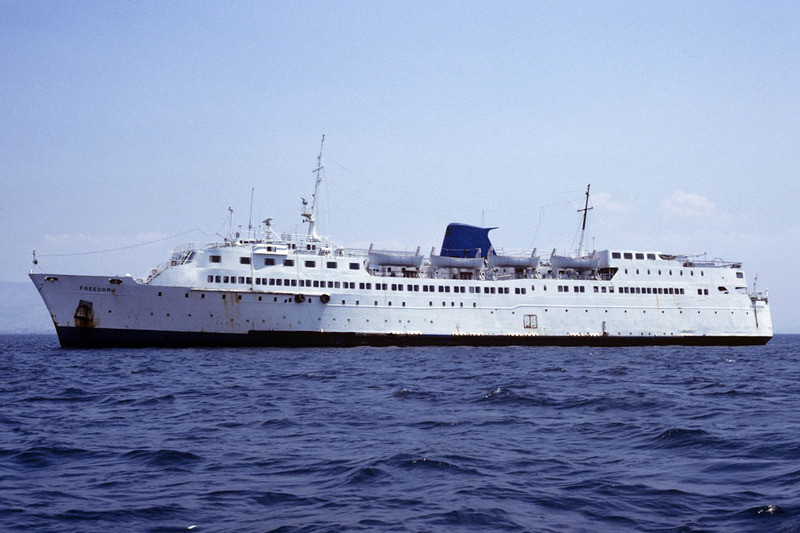 May 29th 1990 – April 19th 1991: Chartered to Malmo District Authority as a refugee accommodation vessel in Malmo. 1991: Arrived in Greece to be laid up. 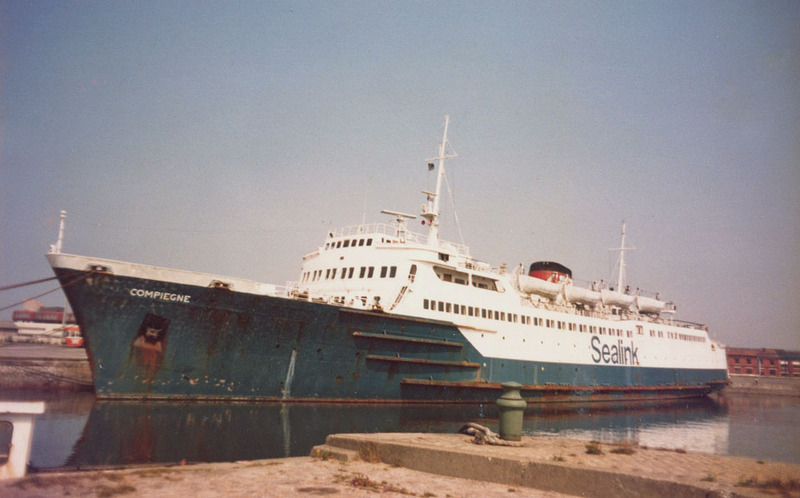 1994: Owners went bankrupt and she was sold in auction. 1994: Sold to Sparbanken, Stockholm, Sweden. 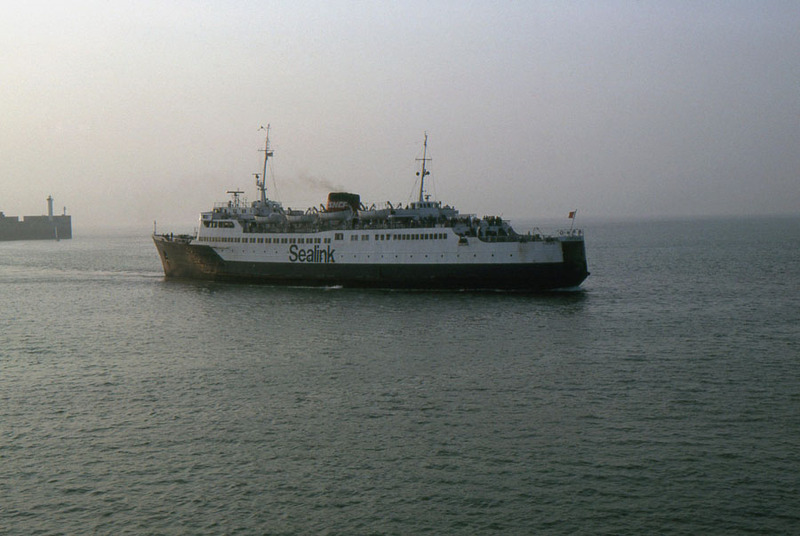 1994: Sold to Raneem Shipping & Maritime Transport, Jeddah, Saudi Arabia. Renamed KATERINA. 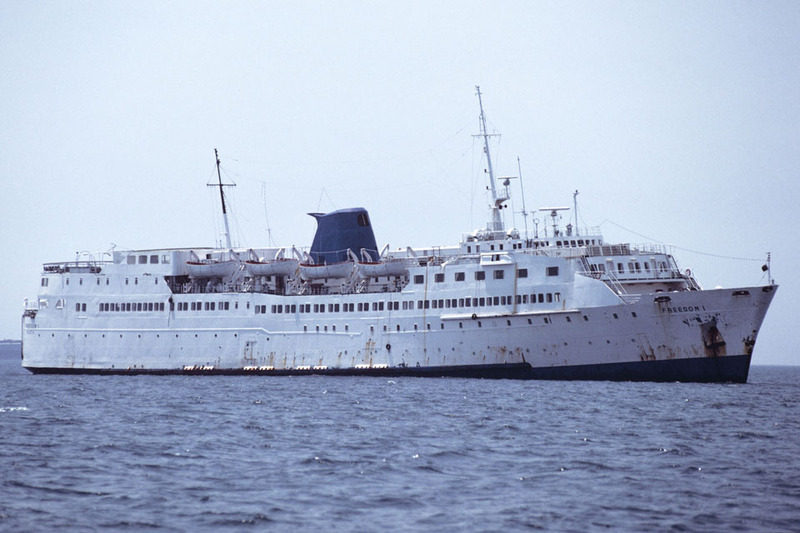 Operated as a pilgrim ship around the Red Sea. 1995: Sold to Waad Shipping Co. Ltd., Honduras. 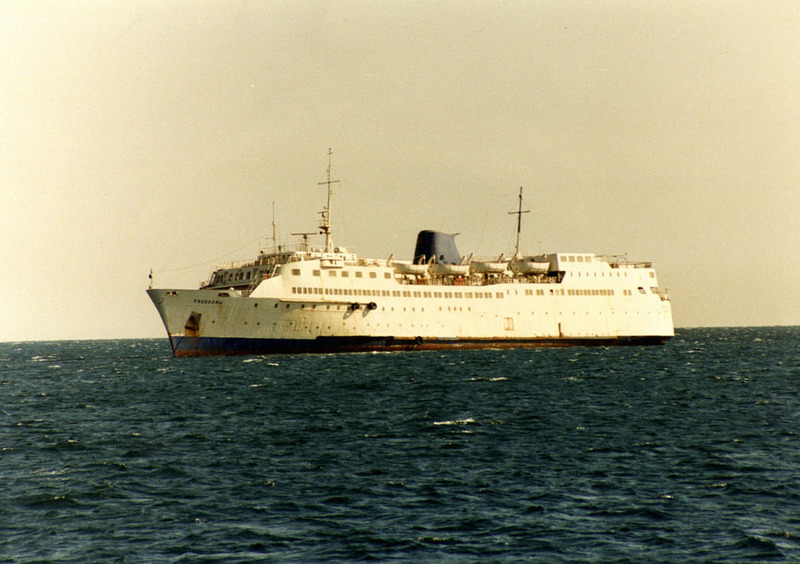 Renamed AL AMIRAH. 1995: Laid up in Alexandria, Egypt. June 2012: Information suggested that she was in the process of being “broken up” in Alexandria. All information is believed to be correct and no responsibility is accepted for any errors or omissions found. All items included in this article are subject to © copyright. 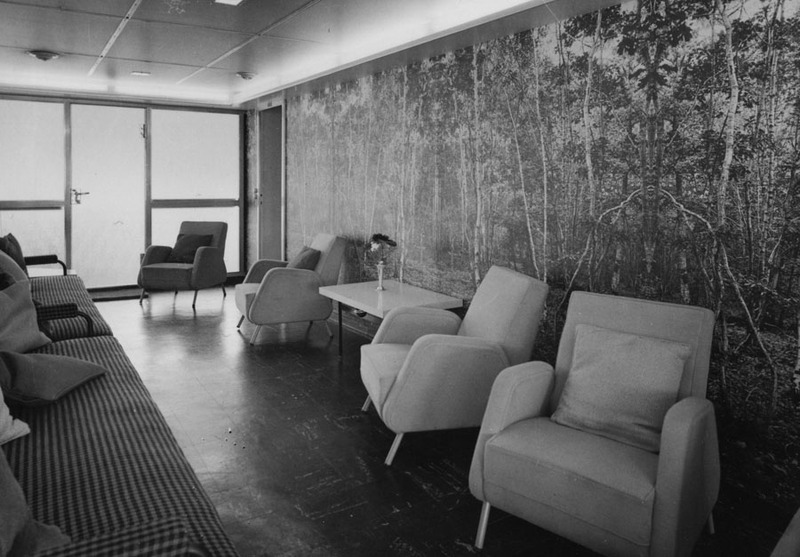 We would like to take this opportunity of thanking: Jean Marc Baratte, Frank Foerst, Ton Grootenboer, Frank Heine, Ted Ingham, A G Jones, Ken Larwood, Matt Murtland, Simonwp, Stéphane Poulain, Bob Scott, John Wilson and Andreas Wörteler for their assistance in producing this feature. 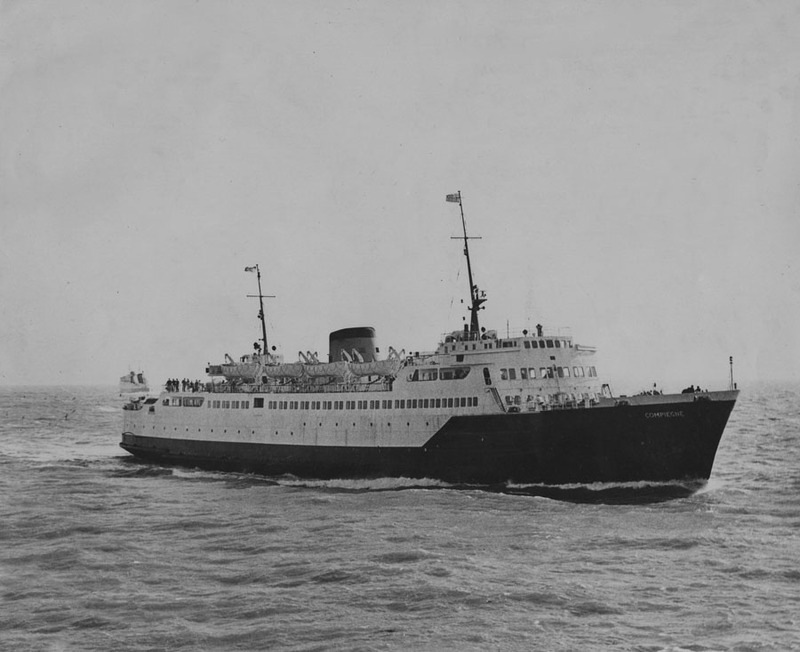 I made a very sentimental crossing on the mv ‘Compiegne’ on the afternoon of Aug. 13th 1961, from Calais to Dover, and would like to know who I should contact for obtaining a few photos of this vessel – inside and out.